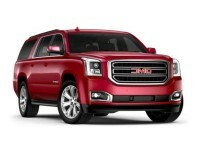 The world of GMC leasing is changing for the better thanks to Auto Leasing NJ! We’re transforming the industry with our all-online leasing system and hugely cost-cutting business model! 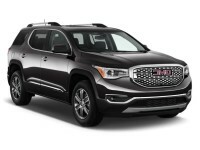 Our GMC leasing deals are the best to be found anywhere in the state, and nobody in New Jersey offers a more convenient and simple GMC auto leasing experience! 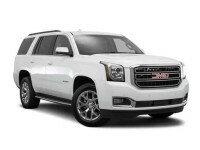 We’ve got every current-model GMC automobile, like the Sierra series of trucks (the 1500 Crew Cab, Regular Cab and Double Cab, the 2500HD Regular, Crew and Double Cab, and the 3500HD Double, Crew and Regular Cab) and the Terrain, Yukon and Yukon XL SUV! Thanks to our online GMC leasing setup, we can also reduce overhead costs to the barest minimum, which means that we can offer you far lower prices than anyone else in the GMC car leasing business! What’s more, our many years in automobile leasing mean that we have developed close connections with financial institutions and lenders, so we can negotiate much better financing terms than any other GMC leasing agency! 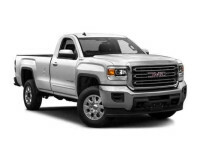 There’s no better place from which to obtain your next GMC lease, so check out our stock of GMC vehicles online or call us up at 609-830-0066 today! 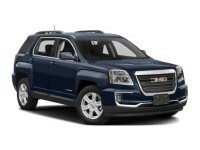 Where does Auto Leasing NJ find the dead wood to cut out of the GMC auto leasing process? If you think about a standard leasing agency, it’s clear that there are many up-front and recurring costs that end up costing you money to no benefit! For example, the very hallmark of an auto lessor is the car lot and/or showroom, which must be rented (costing monthly fees as well as upkeep of the grounds) or purchased outright (a huge up-front cost that has to be recouped in the form of higher overall rates). Then there are the cars themselves: they have to be paid for in full (another massive cost that is amortized over years), and upgraded at every new model year! All of these things mean that you pay higher monthly rates, just to keep the leasing agency out of the red! Auto Leasing NJ gets rid of all of these costs, because we have no showroom and no car lot — all our leasing vehicles are shown on our website! We also don’t have to purchase cars up front, because we’ve spent years cultivating our affiliated dealerships, who allow us to offer their stock of GMC autos (like the Acadia SUV, the Canyon Crew and Extended Cab, and the Savana Diesel, Cargo and Cargo Diesel) as our own leasing inventory! That means that your next GMC auto lease isn’t going to be limited to what one agency happens to have in stock, but will be more like visiting every GMC lease agency in New Jersey at one fell swoop, without ever having to leave the comfort of your home or office! All of these reasons are why Auto Leasing NJ is the best and most affordable place to get your next GMC car lease! 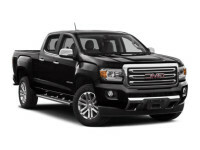 Visit our GMC inventory page or inquire at 609-830-0066 right away!